There has been a great deal of information swirling around Facebook recently about the new VBAC (vaginal birth after cesarean) amendment added onto the registered midwife bill, HB 1360. This post will hopefully lay out all of the current information and help clarify the issue. 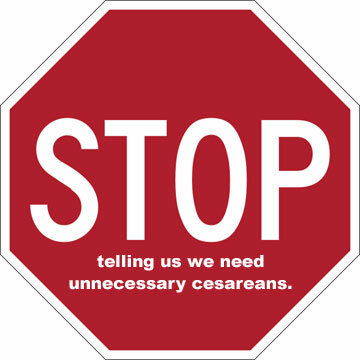 Cesarean section has become an overwhelmingly common-place way for a baby to be born. While I am very grateful for the wonder of modern science when needed, this tool is greatly overused. In the United States, our cesarean birth rate is now 32.2%. According to the World Health Organization, “At population level, caesarean section rates higher than 10% are not associated with reductions in maternal and newborn mortality rates.” This means our current rate is over three times higher than necessary. Though cesareans are generally considered a safe and straight-forward surgery, they are not without risks. The mother is at a higher risk of infection, hemorrhage, pain lasting more than six months, and increased risks during subsequent births. The baby is at a higher risk for respiratory problems including asthma in childhood, being accidentally cut during the birth and death in the first 28 days after birth. Of course risk is always a balancing act, and sometimes the risks associated with c-section are worth taking because the situational risk of an obstructed delivery or other complication of a particular pregnancy is greater. However, statistics tells us that the majority of caesarean births performed in the United States are unnecessary. One of th e reasons that our cesarean rate is so high is the percentage of repeat cesareans, that is, women that are scheduled for a cesarean because they had one last time. The American College of Obstetricians and Gynecologists (ACOG) recommends a trial of labor after cesarean (TOLAC) in most cases, but unfortunately many obstetricians are very uncomfortable with VBAC and so women are not being counseled about the benefits of this option. Instead women in Colorado have very limited options when requesting a VBAC. 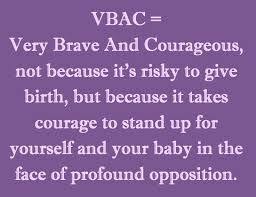 Many women who desire VBAC feel the most supported in their choice with a midwife who provides homebirth services. This option is at risk of being stripped away by the VBAC ban amendment. The main concern raised by ACOG when submitting this amendment is safety. They neglected to point out that the regulations that Colorado midwives must follow in order to accept a client for a VBAC at home makes sure that the client is in the category of very little risk. In addition, there has never been a poor outcome associated with VBAC at home in Colorado. In addition, the safety of her clients is a midwife’s top priority, and she will do all in her power to help women make safe choices for their births. There are some increased risks to giving birth after a cesarean regardless of place of birth, with the top two being risk of the scar in the uterus separating due to the strain of labor (uterine rupture), and complications from the placenta implanting over the scar. These risks need to be balanced with the risks for the mother’s next pregnancies. Our overuse of cesarean births is contributing to our higher than acceptable maternal death rate among many other complications like placenta accreta, infertility and placenta previa. A fantastic article done by Melissa Cheyney and others using the statistics from Midwives Alliance of North America presents a great case for the safety of VBAC at home. Some of the statistics I’m adding below, but please check out the entire article here. First, the success rate of VBACs at home were very high, 87% on average and even higher if they had a previous vaginal birth. Mothers attempting VBAC at home were more likely to need to transfer during labor, and in the study there were two cases of confirmed uterine rupture, both of which resulted in a healthy mom and baby. But the safety of VBAC is not the primary concern with this ban. The bigger concern is the freedom of women to make the choice of where and with whom they give birth. If women are well-informed and well-supported, should the state tell them where they are allowed to give birth? The implication of this ban is that the state cares more about you and your baby’s well-being than you do. Mothers and their families are capable of making health care decisions for themselves. The midwifery model of care supports this truth. And if you need language for your letter or phone call, check out the recent post and fact sheet from Elephant Circle- you can copy it verbatim! Please go sign this petition at Change.org, which will be presented to the Senators! Thank you for supporting birthing mamas and their families in Colorado and their fundamental right to choose where and with whom to give birth! You can keep up to date with the latest on this fight at Organic Homebirth‘s Facebook page or Elephant Circle. For women who have previously delivered babies through C-section, vaginal birth can be a lower-risk, faster-recovery option. Factors determining who is a good candidate for VBAC include both the mother’s and the baby’s overall health during pregnancy, number of prior C-sections, and location and type of incisions from previous cesarean deliveries.